Jennifer Wigfield serves as director of Destiny School of the Arts. 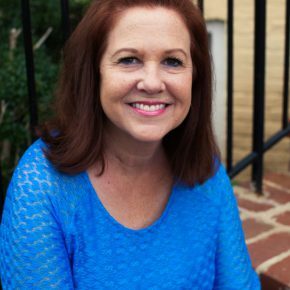 A licensed Virginia educator, she feels passionate about creating a warm and healthy environment where children can learn through the arts. 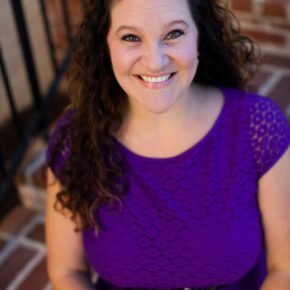 In 2005, Jennifer received a master’s of education (prek-6) from Liberty University. 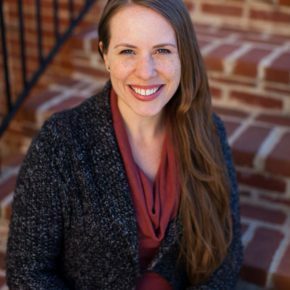 In 2010, she earned a curriculum and instruction endorsement (prek-12) through George Mason University, subsequently becoming an English language specialist with Loudoun County Public Schools. Being fluent in both Spanish and Portuguese, she has enjoyed building a foreign language program at our school. 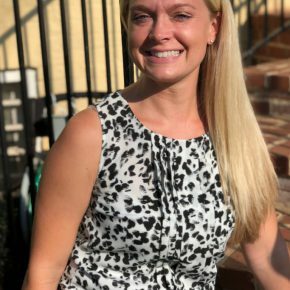 Jennifer believes fully in DSOA’s mission for students reaching academic excellence through arts integration, and enjoys collaborating with staff to achieve that goal. Jennifer is very enthusiastic about DSOA’s bright future, and honored to be a part of such a wonderful school. Nakiera is an assistant teacher in the 2’s class. She was born and raised in Leesburg, Virginia, graduating in 2013 from Tuscarora High School. Nakiera enjoys working with children of all ages and hopes to be a lead teacher one day. She also has a little girl named Cataleya who was born in 2016. Nakiera loves spending time with her family and taking trips in her free time. Jill is so excited to be teaching the 2’s this school year at Destiny School of the Arts. She graduated from Ohio University as a division 1 scholarship athlete in swimming with a major in English Literature and a minor in Sports Industry/Coaching. In 2009 Jill obtained a Master of Education degree from Marymount University in Arlington, VA. 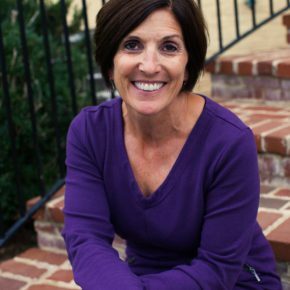 Teaching in Fairfax County, Jill has five years of teaching experience including working with special education and pre-Kindergarten. Jill is energetic and loves to teach through song and movement while developing creative projects with the students. In addition to being a teacher, Jill is the head swim coach for a local Leesburg swim team in the summer. When she is not teaching or coaching Jill loves spending time with her husband and three young children Owen, Olivia, and Oliver. Ms. Lauren is excited to be teaching 3 year olds and Music and Movement here at Destiny School of the Arts! 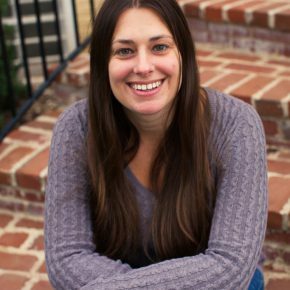 Lauren grew up in Leesburg and graduated from Loudoun County High School in 2004. After graduating, she attended Northern Virginia Community College where she received her Associates Degree in Teacher Specialization. She also earned her Preschool Teaching Certification at Northern Virginia Community College. Lauren has been teaching preschool aged children for seventeen years. She currently teaches dance at Loudoun School of Ballet where she grew up dancing herself! Her dance career has led her up and down the east coast, but she always came back to teaching. Lauren feels honored to be a part of the lives of these amazing children at Destiny. When Lauren is not at school or dance class, she’s spending time with her husband, Niko, their three children Nikolas, Sofia, and Benjamin, and their four German Shepherds. Lara is very excited to be part of the Destiny Team as our three-year-old lead teacher. She has fourteen years experience in a private school setting teaching ages three to the advanced age four curriculum. Her desire to be in a loving, nurturing environment, with the most well rounded academics and arts for the children is what brought her to Destiny. She has a passion for teaching, and strives to meet each child at their individual needs to encourage their love for learning. 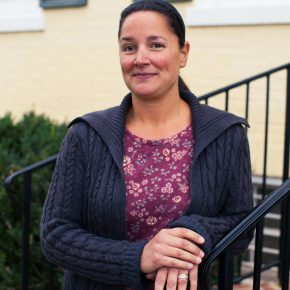 Lara lives in Lovettsville with her husband and two children. Tanya is a pre-k homeroom teacher, as well as the music teacher for our pre-k and elementary students. She received her Bachelor of Arts in Musical Theatre from Lees-McRae College in Banner Elk, North Carolina. She has been working in the field of performing arts as a music, dance and drama teacher since 2006. Tanya has also performs professionally with theater companies in the DC Metro Area. Tanya enjoys spending time with her husband and her daughter Nora. Tanya loves being a part of our talented staff, as she delights in sharing her love of performing arts with children! Sarah Fraker teaches Pre-K music at Destiny School of the Arts. 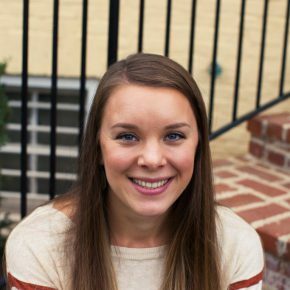 Originally from upstate New York, she moved to northern Virginia in 2012 to teach K-5 elementary music for Prince William County Schools. She holds a degree in K-12 music education from The Crane School of Music at The State University of New York at Potsdam in Potsdam, NY. She has 5 years of experience teaching elementary music and is excited to be starting her first year at Destiny School of the Arts. Her favorite thing about teaching is the privilege to foster a love for the arts and learning in her students. Sarah lives in Aldie with her husband, daughter, and their three dogs. Jicelle is the assistant for the 2’s & 3’s class in the morning and the kindergarten afternoon enrichment program. With years of instruction in ballet and music, she is eager to be a part of advancing the mission of Destiny School of the Arts. Jicelle graduated with a B.S. in Family and Child Development from Liberty University. As a recent graduate, she is grateful to be a part of the Destiny teaching team. Her desire is to inspire children to find their own passions and reach their fullest potential. When not at school, she can be found traveling or spending time with family and friends, especially supporting local events and businesses. Originally from Virginia Beach, Jicelle is excited to be a part of and serve the Northern Virginia community. Madelyn is a PreK assistant teacher at Destiny School of the Arts. Originally from Salinas, Puerto Rico, she grew up as military dependent in several parts of Germany before joining and serving in the U.S. Air Force. 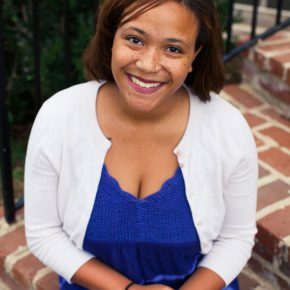 She holds a Bachelor of Arts degree in Communications and began her teaching career as a substitute and assistant teacher in various preschools in Maryland and Virginia. Madelyn finds joy in reading to children and exploring their wonderful imagination through storytelling. She has lived in Virginia since 2011 with her husband Paul, and son Miguel. She enjoys reading, taking long walks with her dog Griphin, getting dirty in her vegetable garden, and exploring her creative side by decorating cakes. Madelyn is delighted and proud be a part of the Destiny family. Jeannie Baer is an art and academics teacher at Destiny School of the Arts. She began her career as a muralist, painting murals in places of business and in private homes. Loving art herself, it is always her goal to foster that same love for learning, self-expression, and creative thinking. Impressively, Jeannie has dedicated the last 20 years of her life to teaching art. Believing strongly in process-oriented art, she enables children to explore their creativity by using many different mediums. In addition, she also helps her students obtain important learning goals through creative means. Students love performing hands-on experiments in Jeannie’s class! Heather is our elementary creative movement teacher and an assistant in the 3’s Class. Heather was born in a little farming town in Switzerland and is the oldest of three girls. She says she came to America for an education, but also found a husband! Heather has a BS degree in Health, Fitness, and Recreation, as well as many years of dance instruction. She loves being a teacher and loves seeing how much students learn and change within a single school year. Heather is excited and feels privileged to be a part of the lives of the children at DSOA. Renee is our lead Creative Play teacher. She grew up in Staten Island, New York. She earned a Bachelor of Arts degree in elementary education and began her teaching career as a substitute teacher at various elementary and middle schools. In 2010, Renee relocated to Virginia and began teaching young children from preschool to kindergarten. Renee knew instantly that she found her niche! She believes a teacher’s excitement and passion to educate comes from the student’s enthusiasm and curiosity to learn. Renee enjoys reading stories to the children and engaging them in conversations about everyday life and the world they live in. Renee has played an integral part in expanding and enriching our Creative Play program. Cindy Backus teaches kindergarten grade at Destiny School of the Arts. Originally from Florida, she and her family moved to Loudoun County eight years ago. She loves her new home and enjoys volunteering to make a difference in her community. She holds a postgraduate professional teaching License from Virginia and an M. ED. in Psychology. Cindy has a wide range of teaching experience in both traditional and non-traditional classrooms, from Pre-K to the collegiate level. Before working at DSOA, she taught children with special needs for Loudoun County Public Schools. Her wide range of experience has equipped her with diverse and effective teaching techniques that implements in her classroom. One of Cindy’s primary objectives is to create a stimulating and positive classroom environment where students begin their journeys as life-long learners. Krista is thrilled to join Destiny School of the Arts as an elementary school teacher. With over 30 years of experience, she has served many roles including that of a teacher, supervisor, consultant, case manager, family service coordinator, university professor, and diagnostician. Her background is in both public and private sectors spanning Early Childhood through Post-Secondary Education levels. She began teaching in her hometown of New Orleans in 1986 and has subsequently taught in Alabama, Texas, Maryland and Virginia. She received an undergraduate degree in Regular & Special Elementary Education from Louisiana State University, a Masters Degree in Early Childhood Special Education from the University of Alabama, and a Doctoral Degree in Infancy & Early Childhood from the University of Maryland. Her deep desire is to bring innovation and enthusiasm to Destiny’s unique learning environment. When not teaching, Krista enjoys travel, volunteer work, and fellowship with family and friends. Monica teaches second and third grade at Destiny School of the Arts. Monica’s undergraduate degrees are in history and Spanish. 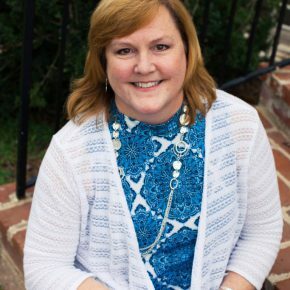 She earned a master’s degree in Curriculum and Instruction from George Mason University in 2008 and holds a Virginia Postgraduate Professional teaching license. Although Monica has taught students ranging in age from kindergarten to adults, Monica has a special love for second and third graders. She is thrilled to be working with this age group at Destiny this year! 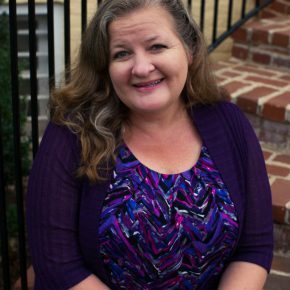 Monica has lived in Leesburg since 2012 and enjoys spending time with her husband and two children.